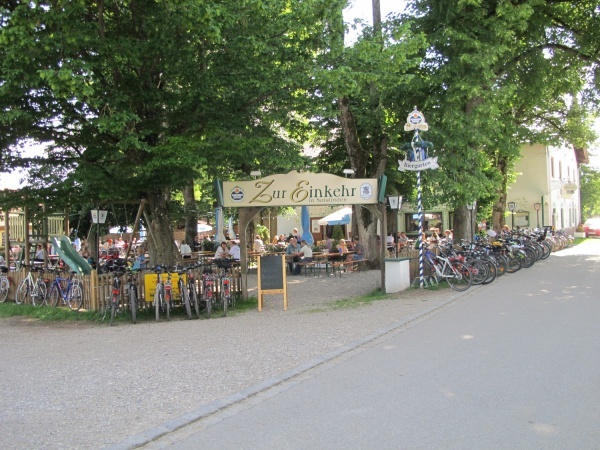 The Rothmeyer's Zur Einkehr beer garden is located in the small village of Solalinden, two kilometres north of Putzbrunn and about 12 kilometres southeast of the centre of Munich. The beer garden is surrounded by fields, forest and grasslands where horses can be seen grazing - an ideal hideaway for stressed city people and nature lovers. The main building has been a restaurant for a very long time. An abandoned shooting range and bowling alley are evidence of former times. Following a string of several leaseholder changes, a new management took over in 2011 and reintroduced a traditional Bavarian menu and beer garden. 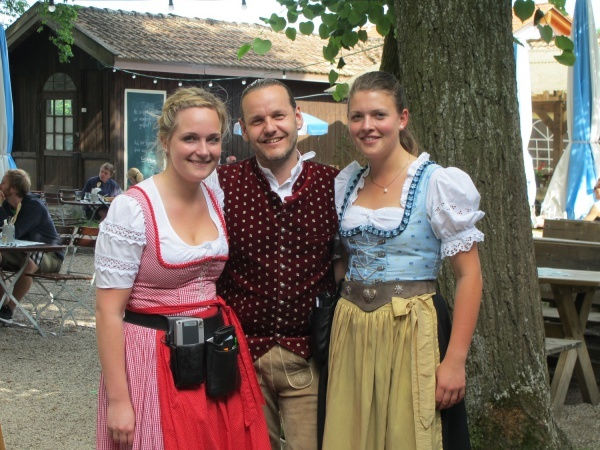 On the menu are cold meals such as Wurstsalat (sliced sausage salad), Presssack (brawn) and Obatzda (Bavarian cheese creation) as well as warm meals such as Zwiebelrostbraten (roast beef with onions), Schweinelendchen (porks loin) and Käsespätzle (cheese noodles). The beer garden has 15 traditional benches in the self-serviced area, providing space for about 150 guests in the shade of large chestnut trees, limetrees and ash trees. Unfortunately the food stall is not always open. In such cases the waitress will take the order for food and drinks. Alternatively, guests can also unwrap their own Brotzeit. The beer served is Tegernseer and a Maß Hell (lager) costs €6.20 (August 2012). The restaurant is open daily from 11am until 11pm, Sundays already from 10am. Throughout the winter season, Rothmeyer's Zur Einkehr is closed on Mondays.